Xylitol, or birch sugar, is a sugar naturally found in plums, strawberries, raspberries, and rowan berries. It is often used to sweeten toothpaste and chewing gum since it is as sweet as sucrose but does not cause tooth decay; this is because it cannot be fermented by bacteria that live in our mouths, and instead inhibits their growth. As the key step causing acute ear infections is the colonization of the middle ear by bacteria that move there from the mouth, researchers have hypothesized that xylitol might help prevent acute ear infections as well as tooth decay. Researchers at the University of Toronto recently performed a meta-analysis of three Finnish studies and found that children who chewed gum — or took other products laden with xylitol, including lozenges or syrup — had about a 25% lower risk of developing an ear infection compared to controls. The study is published in the Cochrane Database of Systematic Reviews . Acute ear infections are the most common bacterial infections suffered by children in the United States and are the leading reason for antibiotic prescriptions. Such extensive use of antibiotics is extremely expensive, costing almost $3.8 million USD annually, and may contribute to the rise of antibiotic resistance among pathogenic strains of bacteria. Thus alternate treatments are desirable. 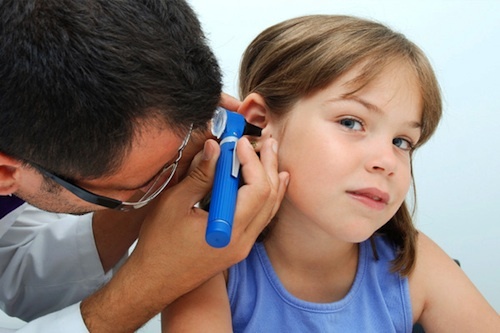 A research group at the University of Toronto recently compiled a number of studies evaluating a daily dose of xylitol for the prevention of acute middle ear infections in children without acute upper respiratory infections attending day care centers. Their literature search, which included randomized controlled trials, quasi-randomized controlled trials, unpublished studies, technical reports, dissertations, and abstracts from annual meetings, turned up eighty-four potential studies. Of these, only four met their eligibility criteria. All four were randomized controlled trials performed with 3,103 Finnish children in day care and published between 1998 and 2007. They found that among healthy children, 8-10 g per day of xylitol in any form — gum, lozenges, or syrup — reduced the incidence of acute ear infections by 25% compared to children in the control group. Gum was notably the best (in the studies, children chewed two pieces of gum five times a day after meals for at least five minutes). However, since peak incidence of ear infection occurs when children are between six months and one year old, when they are too young to chew gum, the finding that other delivery methods can also work are valuable. However, despite the significant preventative effect in healthy children, xylitol did not reduce the occurrence of acute ear infections in those children who already had acute upper respiratory tract infections. And although xylitol has been known to cause stomach distress, no adverse affects were reported by any children included in these studies. The authors warn that since they only analyzed a few studies, and those were peformed by the same research group with a very homogenous group of children, they had insufficient data to generate any kind of treatment guidelines, such as how much xylitol is necessary or sufficient to prevent acute ear infections. But since chewing any kind of gum has also been found to boost mental performance and enhance alertness [2,3], perhaps teachers will be more tolerant of it in the classroom. Azarpazhooh et al. Xylitol for preventing acute otitis media in children up to 12 years of age. Cochrane Database Syst Rev. 2011 Nov 9;11:CD007095. Smith A. Effects of chewing gum on cognitive function, mood and physiology in stressed and non-stressed volunteers. Nutr Neurosci. 2010 Feb;13(1):7-16. Johnson et al. Chewing gum moderates multi-task induced shifts in stress, mood, and alertness. A re-examination. Appetite. 2011 Apr;56(2):408-11. Epub 2011 Jan 11.